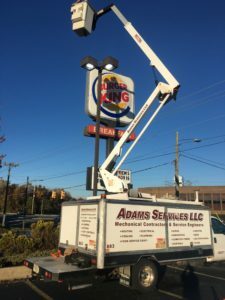 With the advancements in technology and the rapidly changing demand for safe and reliable electrical power it is more important than ever to have a licensed professional electrical company to service and repair your electrical system . We have a wide range of capabilities and are experts in trouble shooting and repairing virtually all types of electrical circuitry. Our technicians are continually updated in the latest changes in codes and safety procedures to provide you with the level of service you need.